Vine rolled out another update for its Android app, adding front-facing camera use and a number of minor improvements to the video-sharing service. While shooting a video you can now tap a small button in the bottom left corner to switch back and forth between your handset's two cameras. iPhone Viners got the same update months ago, but until now Android owners have been stuck using just their main camera to record six-second loops. Other updates to Vine's Android app bundled in with the latest patch include an improved uploads manager for unsubmitted posts, an enhanced settings menu, a few bug fixes, and overall speed improvements including a faster load time for the camera launch. 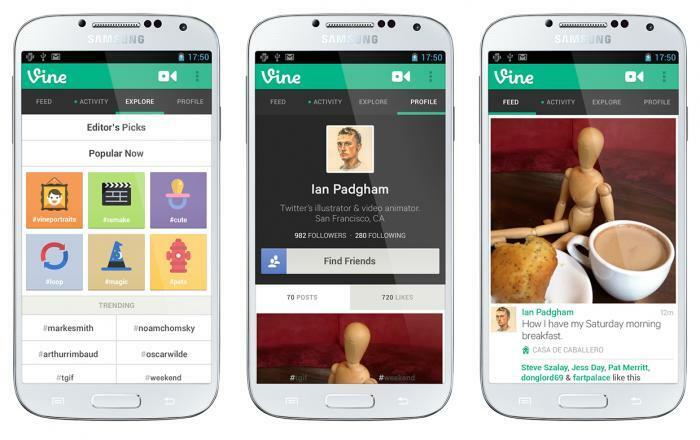 You can download the latest version of Vine over at the Google Play store. Vine has been rolling out updates to its Android app at a breakneck speed, releasing a previous patch with Facebook sharing and hashtags just five days ago. It's likely no coincidence that the improvements to the app have sped up following the release of Instagram video, suggesting that Twitter's video-sharing app may be feeling the heat from Facebook's own copy-cat service.